Residential shredding service, we come to you! Watch us Shred for you. Residential shredding service, we come to you! We are a customer focused, document destruction company. We promise you will get great service, at a great price. No job too big or small. We charge by the box for residential shredding. 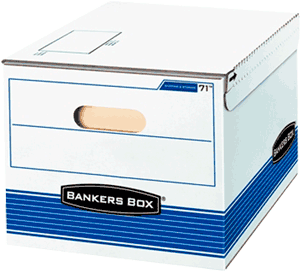 A box is the size of a standard file drawer. If you have them in other boxes or bags, no biggie, we’ll just estimate how many boxes it would be. A kitchen bag holds about the same as a box. 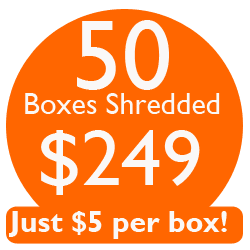 We will shred up to 300 lbs(10 boxes full of paper) at you home or office for just $99(extra boxes just $5 per box. ) That is right we will send our 26,000lb truck to you and shed everything right there while you watch. Service Overall rating: 5 out of 5 based on 51 reviews. 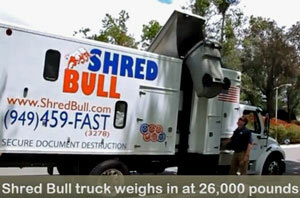 Shred Bull Paper Shredding Truck arrives at your residence or business at a specific time(not a 4 hour window like the other guys). Documents are shredded immediately, while you watch. This is important, some places don’t shred on the spot. Client can request a certificate of destruction with their reciept.